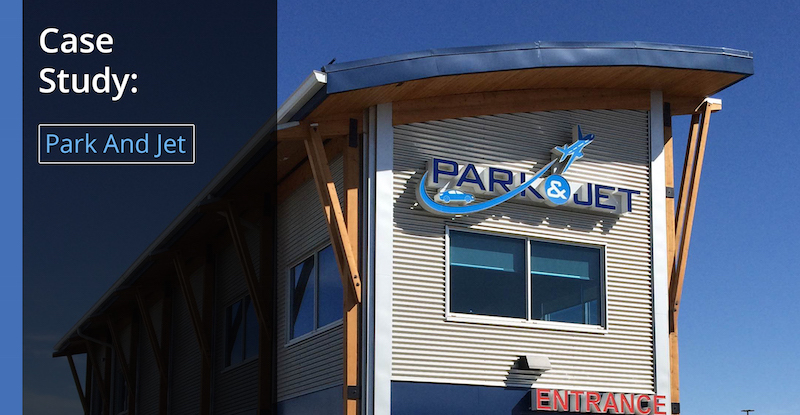 Park & Jet Calgary Ltd. is a parking service located near Calgary International Airport in Alberta, Canada. Its business focuses on coordinating and filling 4,200 parking spaces each day, while simultaneously managing its online social media, marketing, and back-end business protocols to generate business and keep operations running smoothly. The company depends on a steady flow of customers to its parking lot each day. To accomplish this, Park & Jet leverages social media and outbound advertising techniques to generate new leads on a daily basis. Although these strategies were somewhat effective at meeting Park & Jet’s business goals, the efforts were disorganized and weren’t producing the results needed for a successful enterprise. The client’s primary challenge was a lack of market share caused by the inability to effectively coordinate marketing and business processes. The client utilized a complicated system that overextended its capabilities and left employees overworked. The marketing team struggled to balance its strategies with the company’s other business goals. With social media playing a central role in its advertising campaign, constant monitoring of social accounts was necessary — a time intensive operation. To make matters worse, this outreach had to be managed across multiple platforms. This disparate network of accounts resulted in inefficient time management and lost productivity. The Park & Jet’s management team aimed to improve efficiency with an online reservation service, which created additional challenges for daily workflow. The labor-intensive process involved tracking and recording online parking reservations through an Excel file. After sinking considerable capital into ineffective, traditional media advertising program, Park & Jet needed new ideas and solutions. Park & Jet turned to the Spartan One automated sales and marketing system provided by Spartan Spark Inc. Designed to provide an all-in-one platform for businesses to take control of marketing and lead generation strategies, the Spartan One cloud-based service had the potential to streamline Park & Jet’s marketing process. Of particular interest was the system’s dashboard, which pulls essential marketing information into a centralized database coupled with an easy-to-use interface. This gave the executive team clear insights into where marketing dollars were spent, how to leverage marketing spend for maximum benefit, and how to better control customer management processes. Park & Jet’s advertising costs were decreased by 98.5 percent, while gaining more organized and targeted marketing to each specific customer. Part of the tremendous cost savings found by the client was due to the automated lead generation of the Spartan One solution. Fewer people-hours provide better online results due to the algorithms within the system. Thanks to the all-in-one business applications provided by SpartanOne, the client received drastic benefits to its marketing metrics and ROI. Beyond that, Park & Jet was empowered with the data and marketing insights necessary to drive continual improvements over time. The visibility and ease of the Spartan One platform is ideal for businesses wanting to gain better control over their marketing and to develop an automated lead generation program.